To the well-being of your participants, deep relaxation is as important as regular exercise and is therefore a logical addition to your class cool-downs. Daily stresses can trigger physical and emotional tension that, if unmanaged, can harm health. Progressive relaxation and guided imagery are easy skills to learn and great services to add to your repertoire. Stress manifests itself in several different ways. Physical signs include increased blood pressure, heart rate, blood flow to the extremities, perspiration and muscle tension. Mentally, stress causes anxiety, tension and hyperalertness. Prolonged, unmanaged stress leads to irritability, loss of concentration and a weakened immune system. Learning how to relax can counteract this stress response. By releasing both physical and mental tension, relaxation restores the mind and body to a balanced state. Breathing exercises, stretching, repetitive movement and progressive relaxation all soothe the body. Guided imagery and visualization instill peace of mind, especially when combined with physical relaxation. Striking a balance is the key. Effective physical relaxation methods include simple breathing exercises; progressive relaxation; and gentle, static stretching. If you don’t have time to lead a full guided relaxation, simply have your class participants take a few moments to focus on their breathing. Encourage them to observe their inhalation and exhalation, without making any effort to control the breath. Have them pay particular attention to how the breath moves the body. Ask them to notice subtleties, such as whether the chest or belly rises with inhalation, and how the body responds to exhalation. This singular focus brings people into the present moment and into the immediate experience of their bodies. It often results in slower, deeper diaphragmatic breaths that further relax the body. After you have guided your students through a few sessions of conscious experiential breathing, introduce progressive relaxation, which consists of sequentially tensing and relaxing individual muscles. This technique helps people develop body awareness and is particularly valuable for those who are unaware of how much muscular tension they carry. It also educates participants on how to release that tension. When you lead progressive relaxation, start from the top of the body and progress to the bottom, or vice versa. Proceeding sequentially gives your participants an easy-to-follow sense of order. Observe reactions to gauge whether people understand your instructions; and if necessary, adjust your cues. Use your voice for emphasis. For example, raise your voice when instructing participants to tense a muscle and soften it when you encourage release and relaxation. 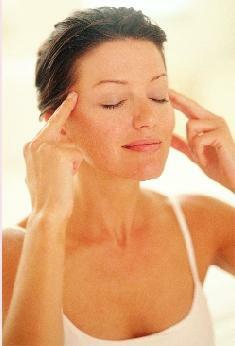 After you have relaxed the major muscles, focus a few moments on breathing. Allow your participants to feel the peace and comfort within their bodies. Close the exercise by having the class do some gentle stretching and return to an external focus on the room and surrounding environment. At the same time, ask people to remain aware of their internal sense of relaxation. Visualization and guided imagery are similar techniques but differ in their ultimate objectives. Both use images that appeal to the senses—sight, sound, smell, touch and taste—to create mental and physical responses. Visualization consists of “end state” imagery. It involves mentally rehearsing a perfect performance or specific goal and includes all aspects of the experience, triggering sense and memory. Athletes use visualization to enhance sports performance. The technique is effective because images are almost as real to the mind as actual experience. Regularly using visualization can create confidence, direct positive behavioral change, strengthen motivation and engender feelings of control. When leading visualization, it’s important to reinforce that participants are always in control of their own imagery and its uses. They can choose to participate in the imagery on whatever level is comfortable or not at all. In contrast, guided imagery is not used to rehearse any specific behavior. Rather, it is used to create a mind-body relaxation experience. Guided imagery incorporates all the senses and focuses attention inward. Using this technique, you lead participants to envision a comfortable place or private sanctuary. This exercise helps people who have difficulty bringing up specific images to focus on recreating feelings associated with a comfortable and relaxed experience. Deep within each of us lies a well of peaceful calm. Your participants will appreciate your efforts to add relaxation to classes. As with anything new, your delivery skills will improve over time and your confidence will grow. Believe in yourself and the power to promote health and well-being. As you lead your students toward finding serenity, you will also discover in yourself the road to greater harmony and balance of mind, body and spirit. An accessible and calm setting is crucial when leading guided imagery. Consider these tips when implementing your first relaxation cool-down. Set the Stage for a Soothing Atmosphere. Dim lights and use candles if possible. If you cannot dim overhead lights, have participants cover their eyes with towels. Since body temperature usually falls when people relax, adjust the room temperature if you can. External noise is inevitable, but close doors to eliminate extraneous noise. Work certain background sounds into your imagery if they’re compatible. If all of your participants enjoy fragrances, scent the air with aromatic burners or soothing essential oils like lavender to create a special feeling of relaxation; however, keep in mind that some people are allergic. Use Your Voice as an Instrument to Create a Mood. Use a microphone if possible, so you can speak softly. A relaxation doesn’t work if you need to strain to hear. Encourage students with hearing issues to sit near you. Speak slowly and clearly to give people a chance to absorb and respond to what you have to say. Choose Peaceful, Flowing Music. Research shows that music can evoke emotional responses and influence our state of mind. Music is not essential to relaxation, but it can mask sounds outside the room. Music preferences are subjective, so take time to discover what your participants enjoy. Try music with a slow to moderate tempo and smooth, flowing sound. Nature sounds are often relaxing and can support imagery. Close your eyes when selecting and listening to music samples. Does the music transport you to another place? Is it calming? Soothing? 1. Explain that you will be leading a guided imagery for relaxation or a visualization to achieve fitness goals. 2. Relax the major muscles of the body. 3. Deepen the relaxation using imagery. 4. Bring people back to awareness of their bodies and the room. Tape yourself reading your script, then listen, critique, edit and rewrite it as necessary. Practice on friends and family members and ask for feedback. Prepare Participants Mentally. Some people may experience anxiety when you introduce a new technique. To lessen stress, give participants permission to try guided imagery at whatever level is comfortable. Tell them that they are in charge of their own imagery and are free to visualize whatever they want or simply breathe and relax without forming any images. Share the benefits of relaxation and remind them it is a skill that improves with practice. Be Ready for Emotional Release. Guided imagery and relaxation can sometimes bring strong emotions to the surface. Some people may cry or feel sad. Let them know that this type of release is normal and can represent an important “letting go.” If someone has a very strong emotional reaction, recommend that he or she consult with a counselor or other health care provider. Oftentimes, your caring presence is enough support in that particular moment.